Can’t decide between the big city or a sleepy beach-side community? The Beaches neighbourhood in eastern Toronto is the perfect compromise. Situated on the shores of Lake Ontario, The Beaches is perhaps the most unique part of Canada’s largest city. Filled with Victorian and Edwardian homes, as well as cottage-style houses and townhouses, you’d be forgiven for thinking you were in the Muskokas. The best part of living in the neighbourhood is that, despite its dreary, laid-back atmosphere, residents still have all those unmatched Toronto amenities close at hand. Streetcars and buses let you commute to work or take in an evening downtown, while a quick stroll will get you to any number of trendy restaurants. With access to a unique combination of world-class dining, great entertainment, relaxing natural surroundings and fantastic seaside, there really is no other place like The Beaches in Toronto. The Beaches has a communal feel to it, and part of that comes from self-sufficiency. 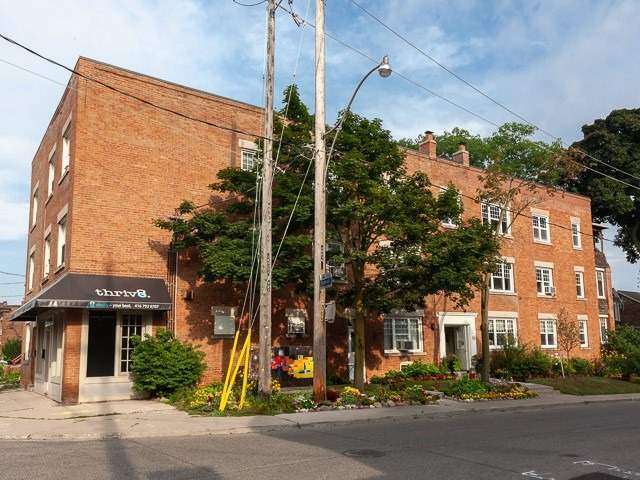 The neighbourhood has everything you need, with groceries, drugstores and restaurants all easily available. Because you’re able to get your hands on just about anything minutes from your front door, the area earns a laudable Walk Score of 88/100. To visit the city centre, residents can take the Queen streetcar (501). There are also six bus routes cutting through the region, taking the locals to a variety of destinations, including Main Street Station on the Bloor-Danforth line. These travel amenities earn The Beaches a 78/100 Transit Score. For motorists, the area's main access comes from Kingston Road, a four-lane thoroughfare that runs along the northern section of the neighbourhood. Woodbine Avenue is another good way to get in and out of The Beaches, with its southern end taking you to Lake Shore Boulevard. Who lives in The Beaches? Because of its small-town feel, The Beaches attracts a mix of families and retirees. The quick commute downtown has also made it possible for nine-to-fivers to take refuge in the area. On the whole, the demographics range, but skew older and more family-oriented than the city’s central neighbourhoods. The following data was obtained from the 2016 The Beaches neighbourhood census profile, and the City of Toronto Ward 32 profile. Average prices are determined by the realestatecondos.ca listings. Queen Street East is lined with popular retail outlets, a diverse mix of eateries, hair salons and entertainment spots. A favourite spot for beachwear is DeLish Boutique, which has been part of the community since 2011. Its racks are lined with everything from bikinis to Canadian-made day wear. Kids (and many adults) will enjoy Mastermind Toys, a chain that originated in Toronto. These stores include educational games, crafty kits, outdoor toys and books. For groceries, there’s a few different options, depending on your shopping style. If you want to keep it fresh, local and organic, then check out Wholesome Market, which has an excellent selection of natural products, including baked goods, nuts, eggs, soy products, pastas, soups and more. For regionally farmed meat, try Meat on the Beach, which also stocks fresh pasta and farm-fresh organic fruits and vegetables. If you’re a fan of herbal remedies and supplements, get yourself to Beaches Natural Foods, which offers all kinds of body care products and natural cleaning products. The area also specializes in outdoor and aquatic wares. If you’re into boards of any kind, try Hammer Skateboards. It’s the area’s go-to for all things skateboard, longboard or pennyboard related. No trip to the beach is complete without a tasty ice cream. Luckily, Brett’s Ice Cream on Queen Street East offers artisan Koiney Cones from Brooklyn, with ice cream created right here in Ontario. The Hand-rolled cones, which come in flavours such as cake batter, make for a unique taste you won’t find anywhere else in the city. For coffee, Bud’s Coffee Bar is a cheery spot offering a delectable range of caffeine-laden beverages, tasty snacks, and the essential human necessity known as WiFi. To ease your grumbling tummy, there's a diverse range of restaurants in The Beaches. La Sala is a favourite amongst residents. Set inside a converted yellow house, it has the ambience to match its menu, which offers modern twists on traditional Italian cuisine. For something a little more exotic, try Kyouka Ramen, which offers delicious Tokyo inspired bowls at reasonable prices. Their signature dish is Kyouka ramen, which rings up from just $11. For something quick, The Burger’s Priest on Queen East serves up signature premium beef burgers that have become a Toronto favourite. The ample shoreline in The Beaches provides residents with unending entertainment. You can enjoy a stroll along the boardwalk, or cycle along the Martin Goodman Trail; you can enjoy a summer’s afternoon basking on one of the four beaches in the region - Balmy Beach, Scarboro Beach, Kew Beach and Woodbine Beach; or, you can hit up the beachside skate park at Ashbridges Bay. If you're in the mood for anything outdoorsy, you'll find something fun in The Beaches. On those rainy days when a roof feels appealing, take the kids along to Eve & Olivia’s Cafe - the perfect place of the kid’s to let off some steam while parents get a little a break. This indoor play area offers family-friendly classes, a place for parents to connect with neighbours, and is available for party hire. As is unsurprising for a community that spends much of the summer exposing its skin, The Beaches takes fitness seriously, boasting numerous gyms and exercise studios. Afterglow Yoga is a place that bases its practices off of Vinyasa, and helps participants learn the basics of alignment and movement, to keep them feeling fit all year-round. Another popular studio is Beach Pilates, which offers reformer, tower and mat classes, as well as barre, spin and bootcamps. The area also has some great trails for running if you want to get fit outdoors. Any guesses as to what the major natural attraction of a community called The Beaches is? That's right, it's the lowercase beaches. Kilometres of sandy beach and swimmable water brings in people from all over Toronto, looking to get out of urban jungle for a brief reprieve without battling the traffic on the 401. There’s more to the seaside than just sand and water, though there is lots of that. Several green spaces scatter the shorelines, boasting walking trails, gardens and recreational amenities. The entire stretch is span by a boardwalk, offering sublime views of Lake Ontario. At the South end of the boardwalk you’ll find Kew Gardens, a public park and flower garden complete with wading pool, playground and baseball diamond. Venture further to the sandy curve of Woodbine Avenue to be greeted by the 15.2 hectare Woodbine Park, which leads to the beach itself. The Ashbridges Bay and Martin Goodman trails weave throughout this popular space, which is also home to a playground, outdoor fitness equipment, picnic spots, snack bars and a thriving skatepark. Between its beaches and parks, The Beaches is one of the best places to live if getting outdoors during the summer is important to you.